Is working out your own personal addiction? Does the feel of hard-earned sweat all over your forehead a better feeling than a single raindrop on your face when it’s raining? Exercising is thrilling because the feeling of fat burning in your body as you do routine moves is worth all the muscle soreness you may feel afterward. You love to work out, but you are tired at work or have any other responsibilities you on your hands and are barely able to do your muscle-stretching routine? What if there is a way to be able to squeeze them into your whole day, week, or month? 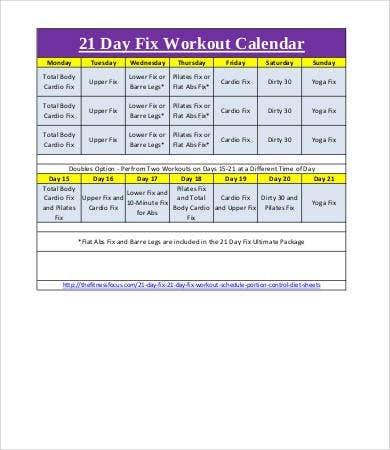 With our workout calendar templates, you can get more organized with your schedules and do your push-ups. Sweating off, stretching, and contracting those arms and legs give your whole body a head start in healthy living. Having a healthy lifestyle includes being away from sickness risks that have a higher probability of being contracted by non-active individuals. A workout is normally planned out in a routine, and routine means scheduling and doing particular exercises that target specific areas in the body. With all these to put in mind, it’s hard to actually keep it there when there are other things you have to worry about. Our templates aim to help you with that. 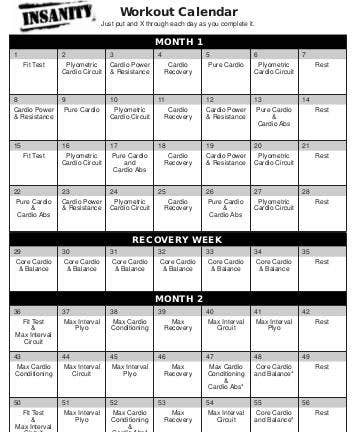 We provide various types of workout schedules for you to choose from. 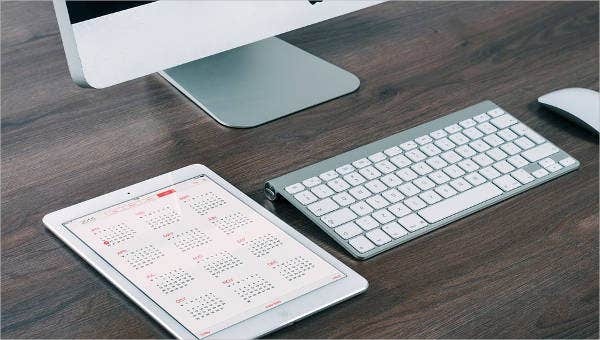 Some of these have daily, weekly, or monthly schedules so you choose on how much scheduling you would want to do. 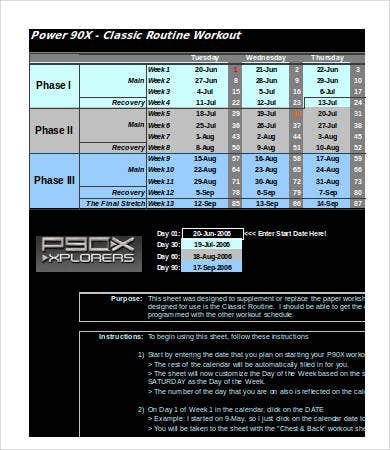 Workout samples that are already imprinted in the templates that you will be able to use for your own workout routine. Just make sure they fit your own body physique when doing this. 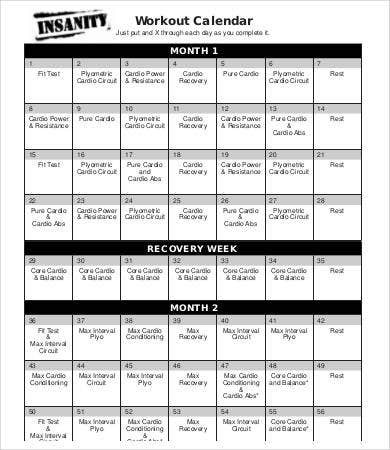 We also offer more generic Training Calendars and Blank Calendars for you to use. Goal. Working out usually means having a desired goal to achieve. An example is a weight goal. 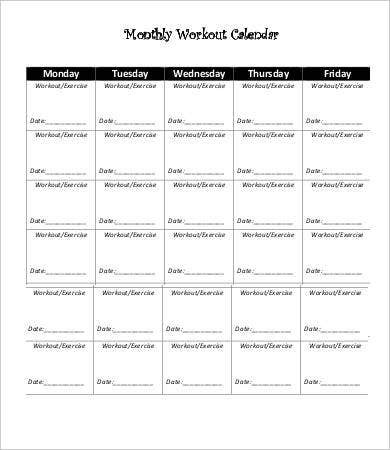 Organizing your workout routines per hour or day can move you closer toward the goal weight you set. Decreased stress. Organized routines actually lowers your stress levels since you don’t have to worry about whether you have skipped a push up or two. Balance. There will be balance in work and social life since time spent on specific tasks are estimated in a period of time to fit for the whole day. Motivation. 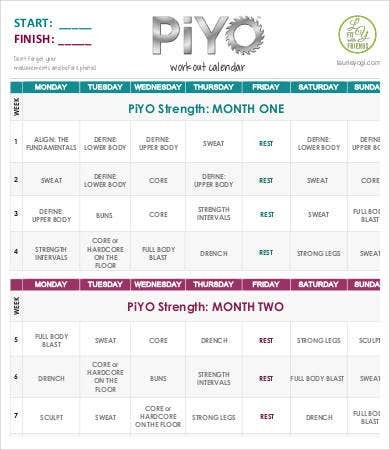 As the routines are planned out, they keep you motivated to keep on going with the work out. 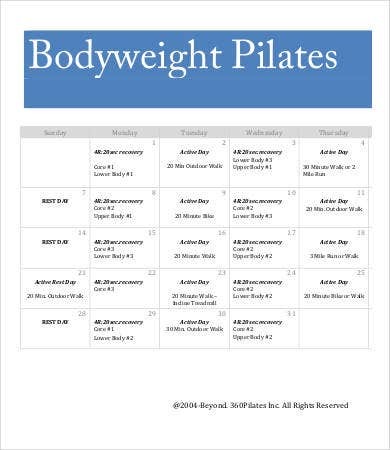 With all the benefits gained from working out and keeping a schedule, how about having a go at it and start checking out our free, accessible, and efficient templates? How about starting with our Weekly Calendar? Click download now and share with other health nut friends you know.